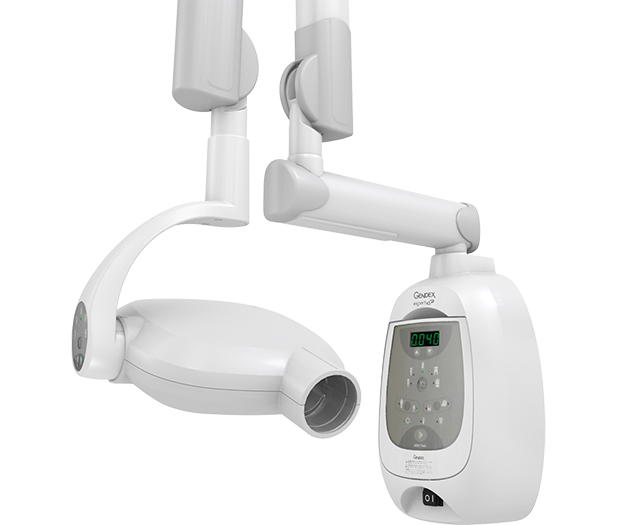 Gendex provides innovative solutions for maximum flexibility for your practice through Quickset controls on the X-ray tubehead. 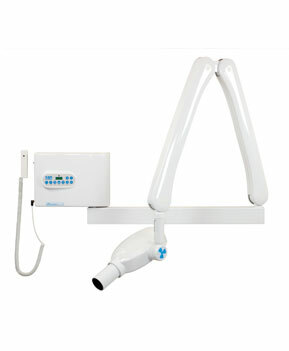 No other X-ray delivers the combination of programmable anatomical presets and Quickset tubehead controls. 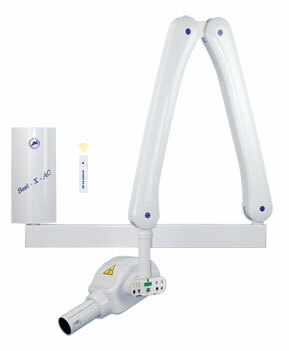 The radiographic unit BEST-X-AC is the fruit of the New Life Radiology long experience. 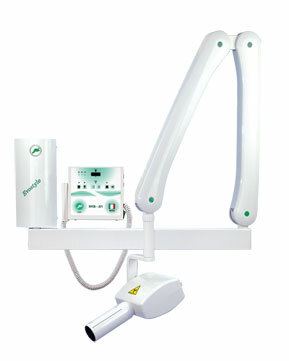 It uses the most modern technique applied on dental radiology. It is light and compact, all functions integrated in the enbloc. Its lightness (Kg. 3,5) allows to operate the arm very easily. Through the exclusive timer placed in the enbloc, the exposition parameter set up with pre-set and adjustable software by the end user is made easier. The machine is remote controlled, with the operator’s complete safety through the radio wave remote control. The exclusive thermoswitch system gives further safety by blocking Rx emissione in the event of a timer breakdown. BEST-X-AC is also avalable in Mobile Version on wheels. Total filtration 2 mm Al eq. 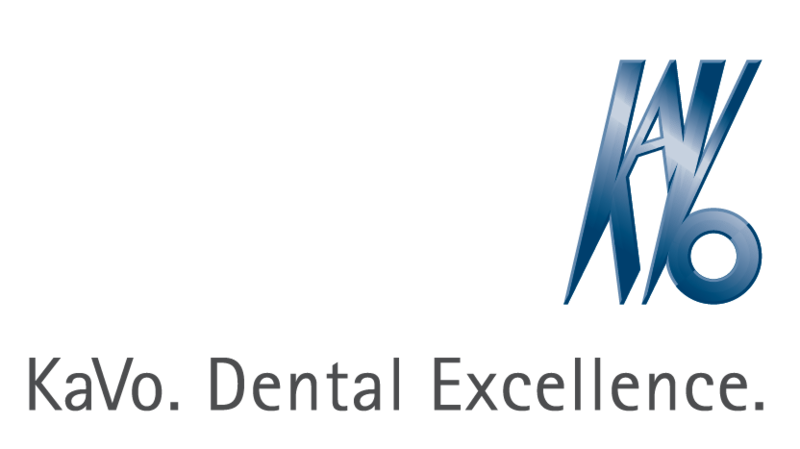 The radiographic unit BEST-X-DC is the fruit of the New Life Radiology long experience. 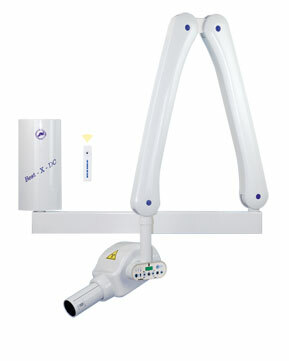 It uses the most modern technique applied on dental radiology. It is light and compact, all functions integrated in the enbloc. Its lightness (Kg. 3,5) allows to operate the arm very easily. The enbloc with constant potential reduces significantly the dose compared to the traditional radiographic units. The harmful low energy radiations are almost totally eliminated, obtaining high definition images, both in traditional and digital operating modes and digital and phosphorous system protecting the patient’s health. Through the exclusive timer placed in the enbloc, the exposition parameter set up with pre-set and adjustable software by the end user is made easier. The machine is remote controlled, with the operator’s complete safety through the radio wave remote control. The exclusive thermoswitch system gives further safety by blocking Rx emission in the event of a timer breakdown. BEST-X-AC is also avalable in Mobile Version on wheels. The radiographic unit EVOSTYLE N.G. 70kV – 8mA is the result of the long experience of the New Life Radiology. The radiographic unit EVOSTYLE N.G. 70kV – 8mA is the result of the long experience of the New Life Radiology. It exploits the most modern techniques applied on dental radiology. Pantograph arm steady in all positions, light in the movements. The Timer, with membrane buttons allows the program settings in a simplified way to obtain clear and contrasted radiographies with a very low dose thanks to the last generation micro controller. Besides, it is prepared for systems of: digital surveying, phosphors, and traditional films. The “Thermoswitch” exclusive system blocks Rx emission in case of timer breakdown. EVOSTYLE N.G. is also avalable in Mobile Version on wheels. Ergonomically designed with an oval shape. Its emissions of radiation dose are, thanks to its latest processor reproducible and repetitive optimum linearity. Equipped with a 0.5 mm focus allows to obtain high-resolution images of contrast. The unit is equipped with touch keyboard switch with preset programs along the R10 scale. You can also select the setting of kV (60-70) and current mA (4-7). Equipped with dual control is traditional with both wireless and wire. Prepared to work with any type of film, sensors and phosphor plates. Total filtration 2,5 mm Al eq.